More concerted research efforts are needed to advance drug manufacturing, wherever it takes place. Big Pharma has been likened to a dinosaur so many times that its easy to forget who first made that comparison: Jurgen Drews, Hoffman-LaRoches former head of R&D. Eight years ago, he said that drug companies as we now know them would slowly disappear if they could not solve the challenges ahead. As pharma outsources more key functions, the idea of drug companies becoming holding company shells is often praised as best business practice. Theres just one problem. Drugs still have to be manufactured somewhere, by somebody. And drug companies will still be liable for any problems, especially any lapses in their products quality or safety. AstraZeneca later complained that Smiths remarks were taken out of context. Even so, his comments suggest that more senior pharmaceutical executives may need to recognize how important innovation is within the manufacturing function, whether product is made within the companys walls or halfway across the world. .
Second-class status for manufacturing is disturbing, especially as pharma lurches into the era of personalized medicine. Efficient manufacturing will be key to ensuring the agility required to make a diverse set of products, and a firm grasp of manufacturing science will be essential, whether that science is imparted to resident employees or to contract partners. Thus it was reassuring to hear former FDA Commissioner Mark McClellan (he of potato chips and soap flakes fame) reiterate the importance of the drug manufacturing function in the debate over healthcare reform. Some of the [recent] reforms and regulations can be an opportunity for continuing savings and quality improvements in getting better products to people at lower costs, he said at a symposium on drug manufacturing sponsored by Glatt in New Jersey. He also said that manufacturing needs to become a part of the general healthcare policy debate. Youve all read, again and again on these and other pages, the results of recent studies by universities including MIT, Georgetown, Washington University and Purdue, which have found that drug making results in over $50 billion in waste each year. Manufacturing still accounts for 25% of the cost of goods sold, a higher percentage than the R&D that is required for innovation. Is it realistic to assume that contract manufacturers and offshore manufacturers will quickly surpass onshore manufacturing operations in their grasp of manufacturing science and continuous quality improvement? Especially since FDA cannot inspect more than a fraction of the drug manufacturing facilities outside the U.S.? What is needed is more fundamental research into drug manufacturing. Such research is going on globally, and in the U.S., is being championed by Purdue, MIT, and organizations such as NIPTE and CPAC. Most of the work is applied, however, and is designed to benefit one company or a specific group of companies. This month, Novartis announced a sweeping program with MIT, and its plans to contribute $65 million over the next 10 years to study applications of continuous manufacturing. The companys senior managers, including its CEO, clearly understand the strategic importance of manufacturing. 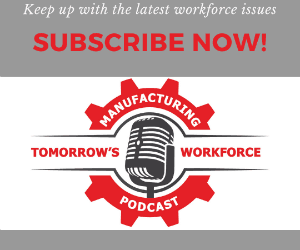 Editors Note: For those of you who work with managers who may not always see this importance clearly, this months cover story  by quality experts at a contract manufacturing company  outline best practices for conveying the economic benefits of any new technology. They focus on one aspect of process analytical technologies (PAT), but the lessons can be applied everywhere. In Europe, the consortium Britest, which includes Pfizer, GSK, (and, yes, AstraZeneca), is also examining continuous manufacturing. On the regulatory side, FDA has already changed its definition of a batch, adopting time-based criteria to facilitate advancements in continuous processing. Individual breakthroughs are great, and drop by drop, they will add up. But couldnt more be achieved if these different academic groups would forget about competition for grants and status, join forces and pool their research so that it might benefit the entire industry, including contract manufacturers around the world? Today, even contract manufacturers are feeling the pinch and some, such as Cardinal Health, are opting out of the risk-prone drug manufacturing business altogether. Will these pressures encourage more scientific manufacturing, or more business as usual?